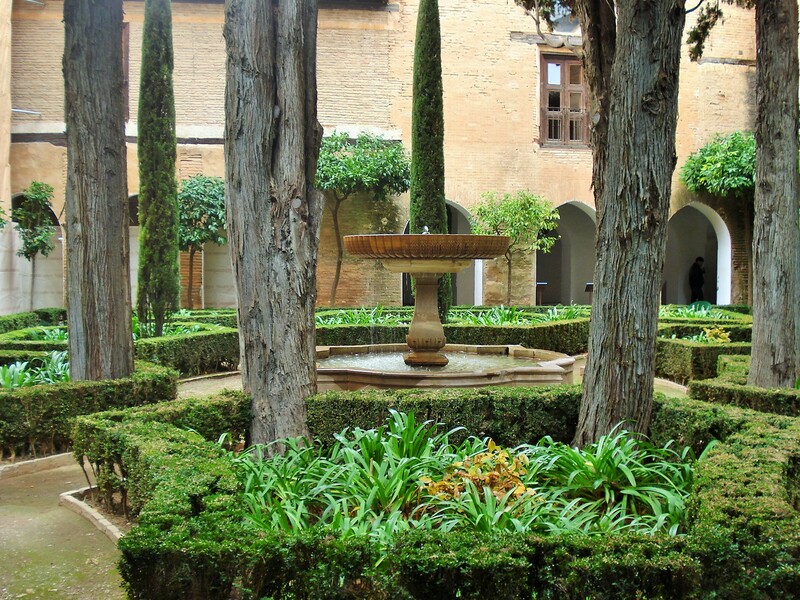 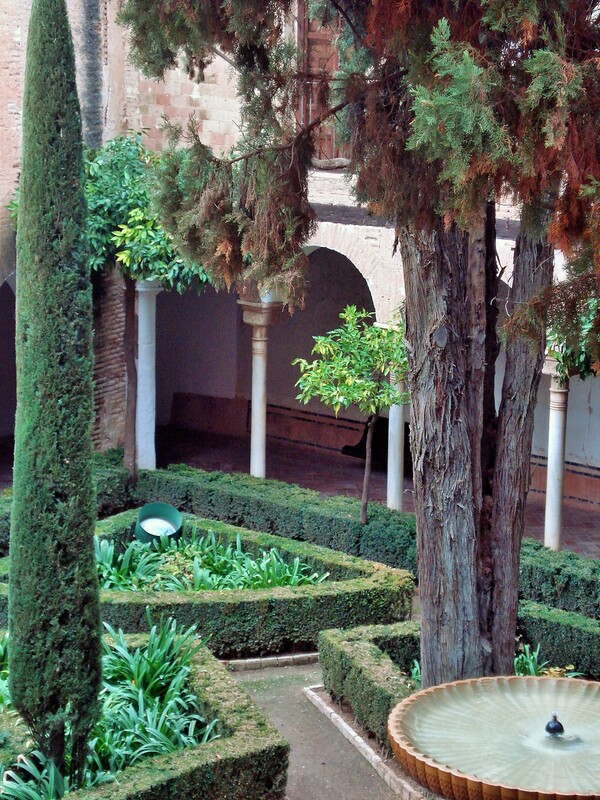 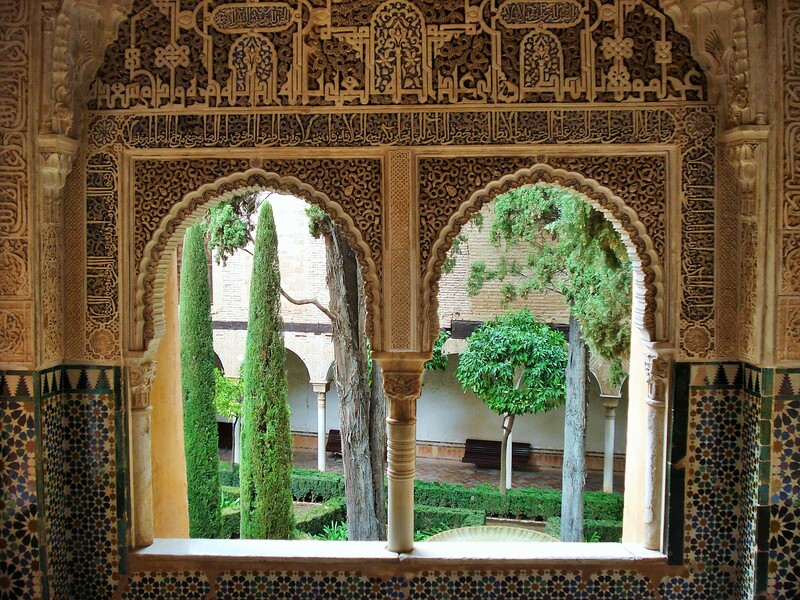 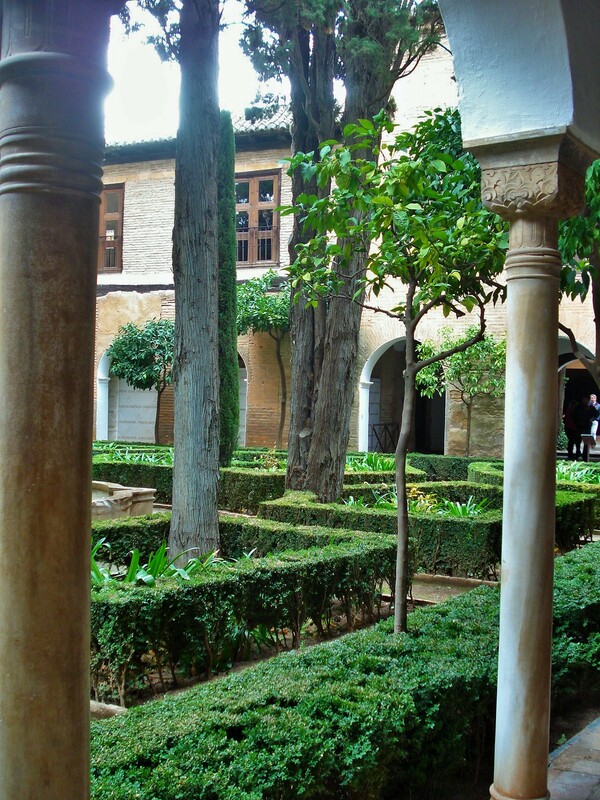 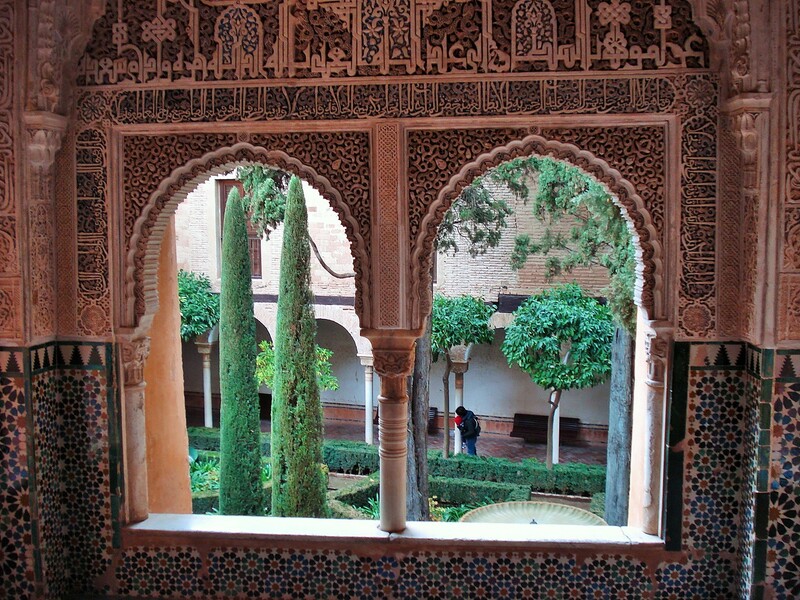 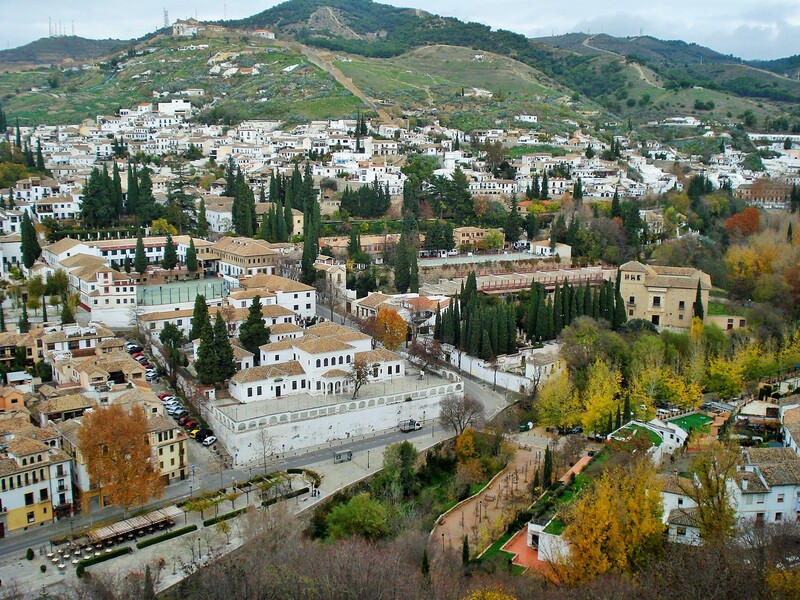 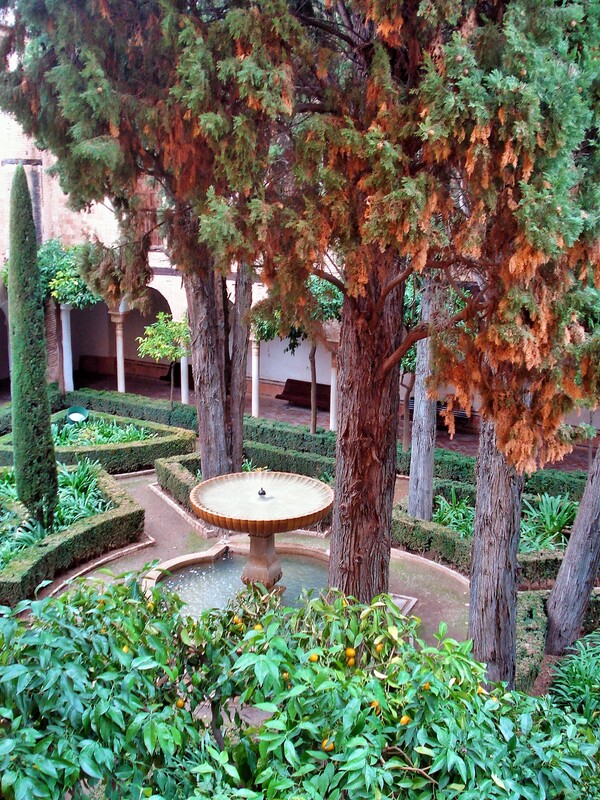 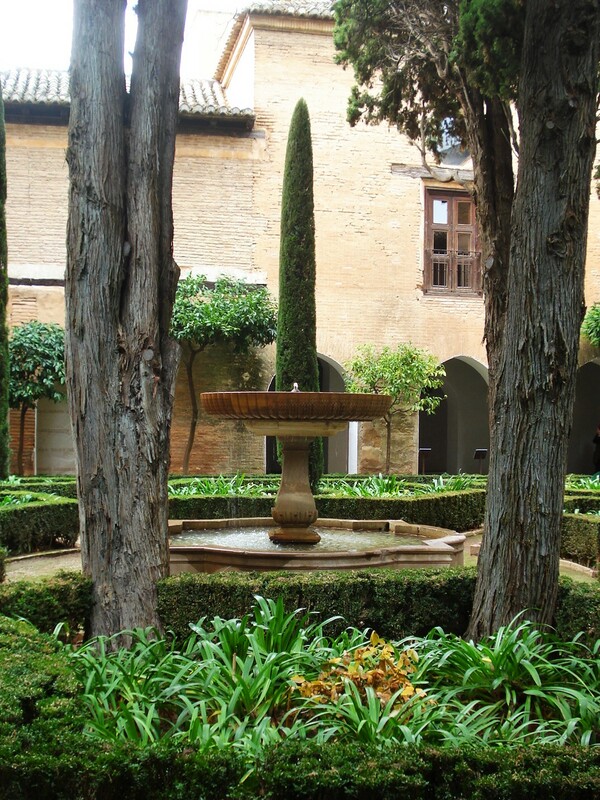 Granada, in southern Spain, is of course most famous for the Alhambra and Generalife gardens. 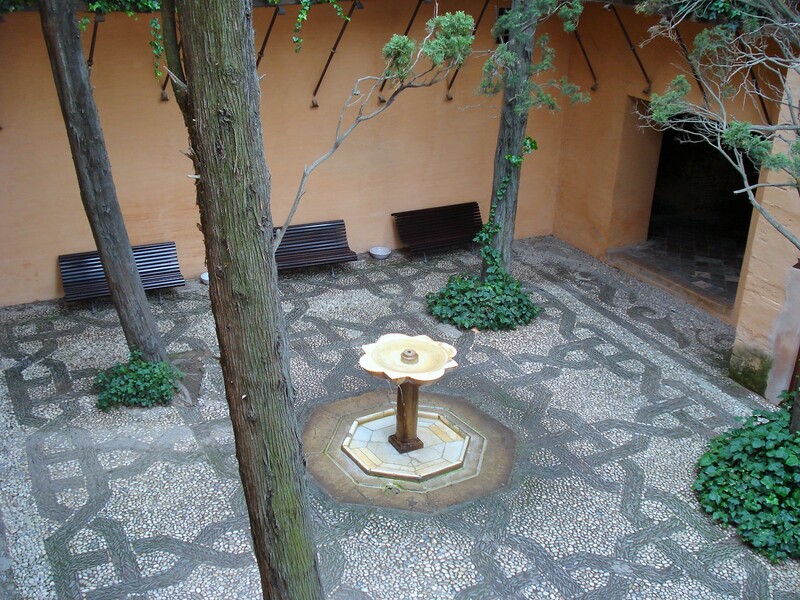 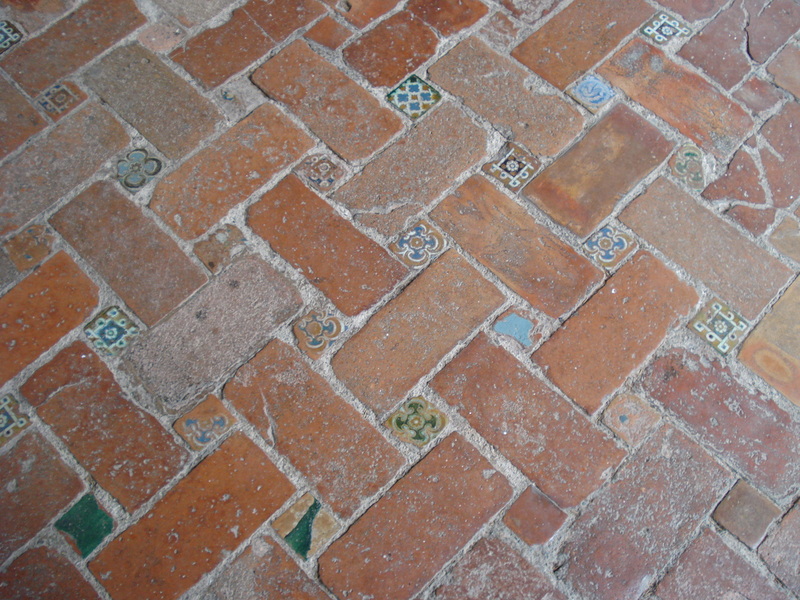 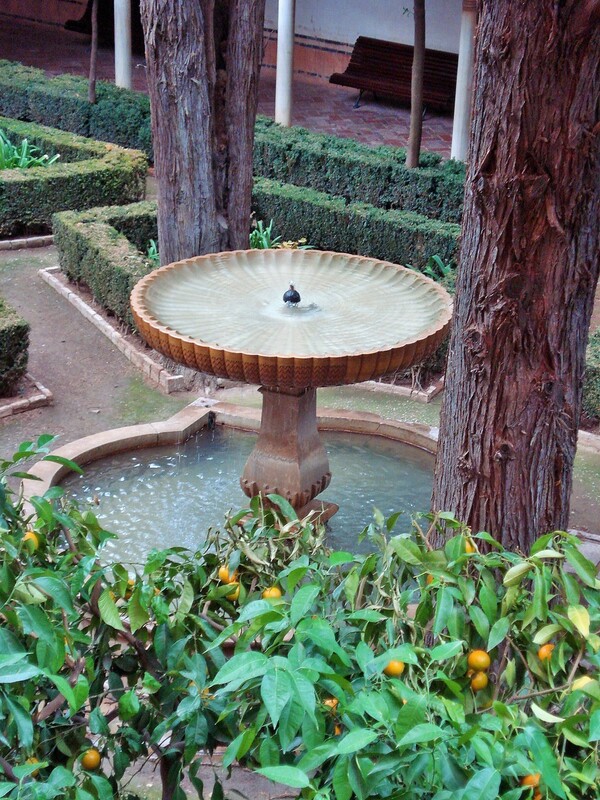 The patios of the Alhambra are iconic images of Granada. 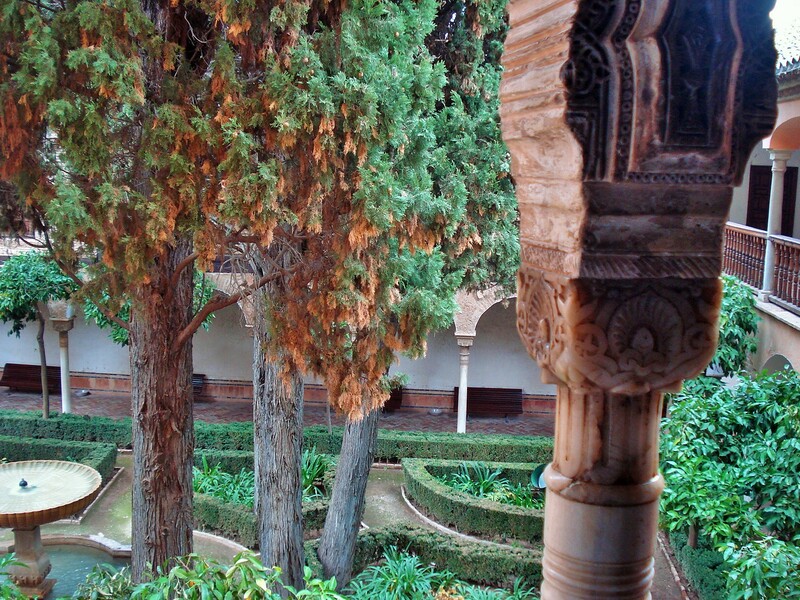 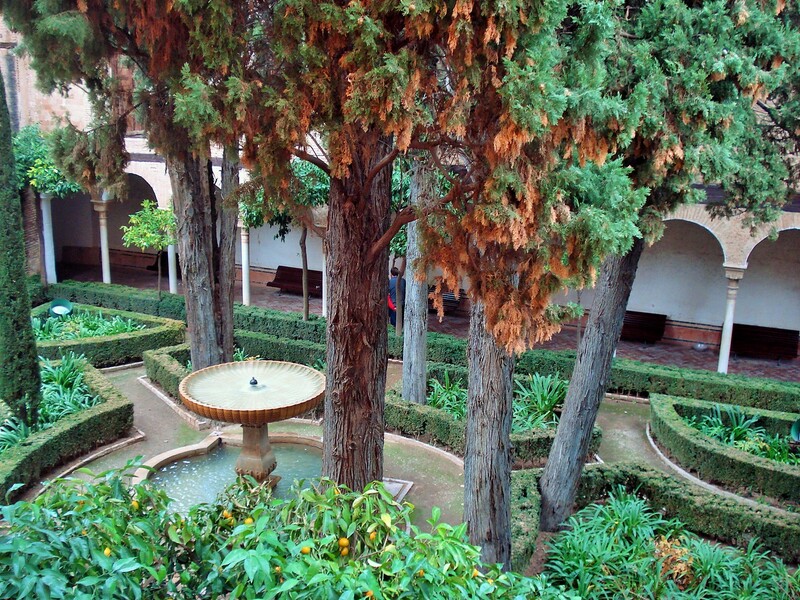 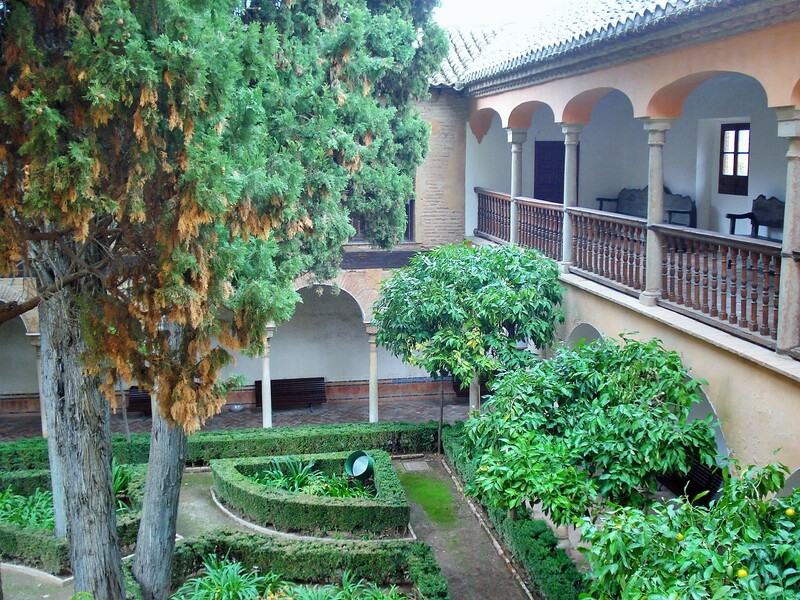 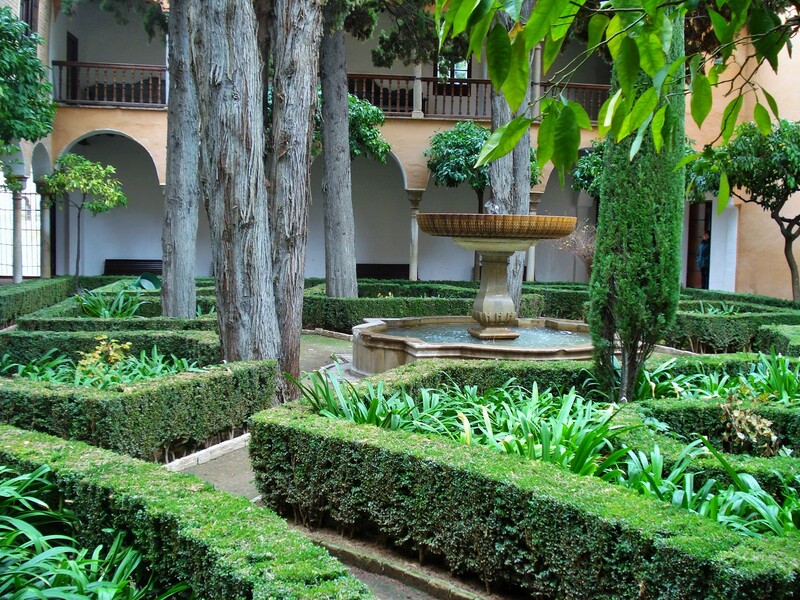 While not as famous as the Patio de los Leones, the Patio de Lindaraja is the most garden-like of the patios and a green oasis in this stunning palace. 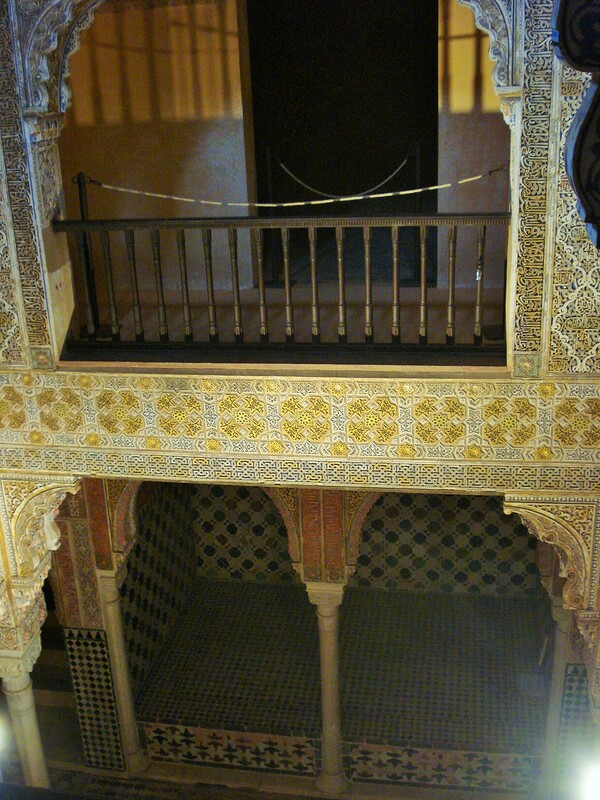 It is enclosed by arched columns and ornate galleries above, from which a sweeping view of the city below can be seen. 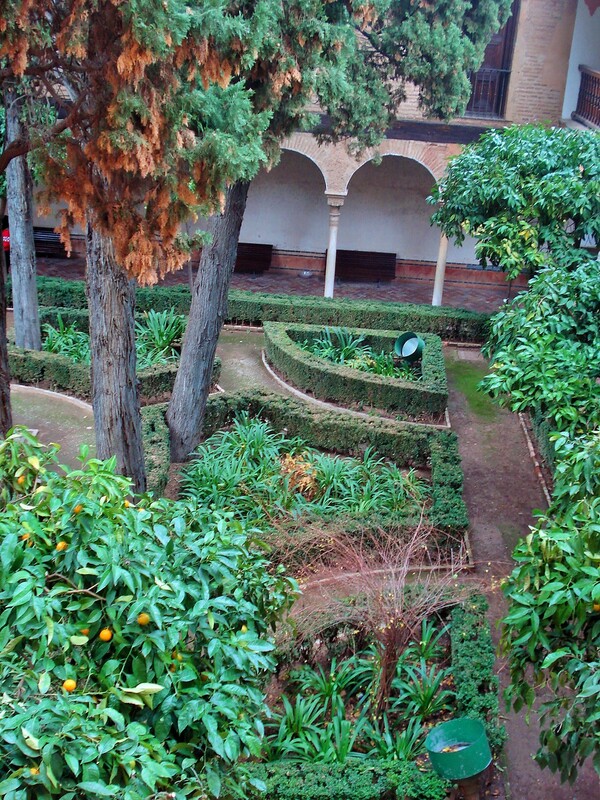 From the garden below, the effect is almost monastic.